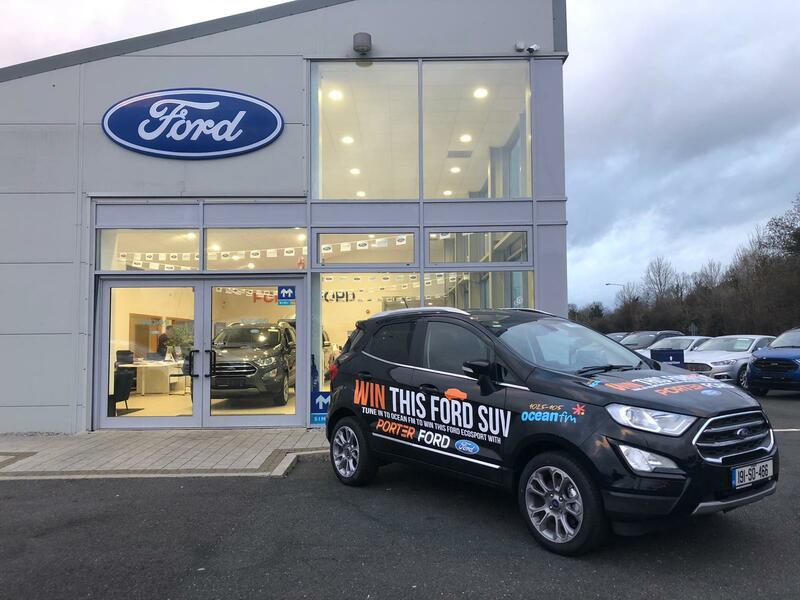 Over the past five weeks, we have chosen ten finalists for the Ford EcoSport competition with Ocean FM from the thousands who entered to find the Ford EcoSport SUV around Sligo, Donegal, Leitrim and Roscommon. We have had such fun with this competition with the people of the North West, who participated in their thousands. Tomorrow is the Finalists Competition; Ocean FM will broadcast its Ocean Drive show live from Porter Ford in Castlebaldwin from 4-7pm. During the course of the show all ten finalists will have an opportunity to win the car. However only one lucky finalist will walk away with the 191 Ford EcoSport SUV. If you would like to come watch the #FindTheFordSUV Competition final, you are very welcome to our showroom in Castlebaldwin from 4pm tomorrow. Will your key open the Ford SUV?